July 18, 2018 marks the centenary of Nelson Mandela. The first democratically elected president of the Republic of South Africa would have turned 100 years on that day. 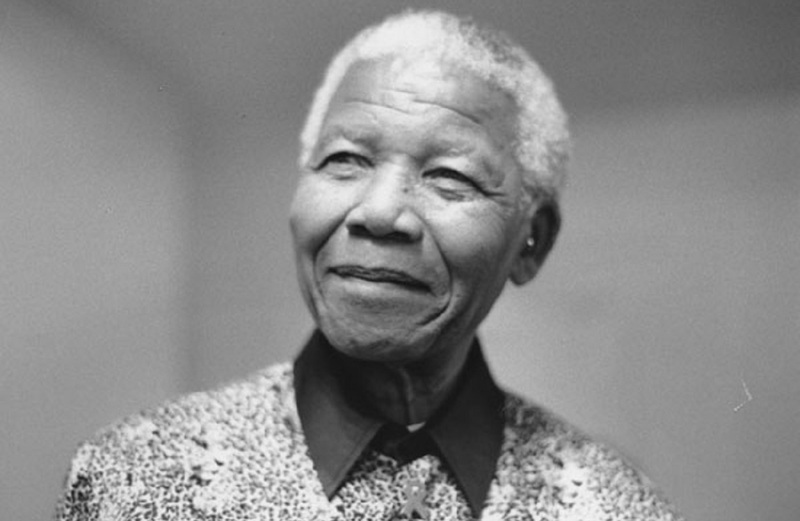 To honour Mandelaâ€™s life, Kate Sidley has compiled a collection titled 100 Mandela Moments. The Daily Vox team takes a look at the book. 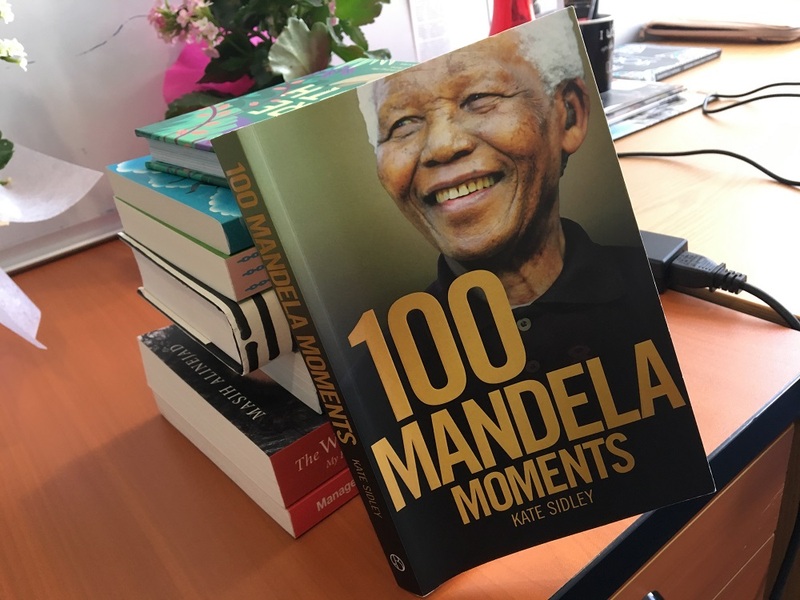 100 Mandela Moments is a book that was written in celebration of the centenary of Nelson Mandela. It is divided into eight different parts which all attempt to tell the story of the man who is equally loved and hated by many in South Africa. There is Mandela the boy, Mandela the young man, Mandela on the run, Mandela on the prison, Mandela the negotiator, Mandela walks free, Mandela as president and Mandela the elder. The book is a collection of important anecdotes and â€œmomentsâ€ from his life. From growing up in Qunu in the Eastern Cape, to going to Johannesburg to his imprisonment on Robben Island, to his eventual release and then his life after the presidency, the book looks at it all. While the book most likely did not set out with the idea in mind of creating a different conversation around Mandela it does do that. 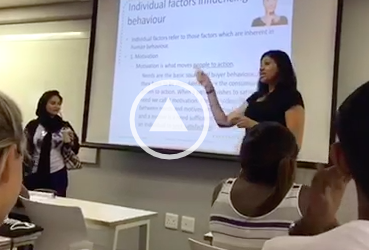 Mandela is a flawed character of South Africa and there really is no other way to see it. He should probably not be seen a the ultimate hero or villain of the democratic transition or the situation South Africa finds itself in. He was a person who fought for what he believed in, and along the way his personality and character got appropriated to fit in with different agendas. This shows that to a certain degree. Of particular interest was the way the book eludes to an important fact about Mandela that might not be widely known. Both Evelyn Mase and Winnie Madikizela-Mandela, his ex-wives were responsible for looking at the households while they were married. While it isnâ€™t given a huge amount of space in the book, it does provide interesting insights into women during the struggle and the oft-forgotten and erased role they played. There needs to someone who picks up on that and writes about them. Both the women worked and supported the households while Mandela was out trying to establish himself as an activist and lawyer. Many view Mandela as somebody who sold out the cause and instead went and negotiated with the oppressors. While not doing much to dissuade this point of view, the book provides recollections of Mandela during that time and what took place. The book says that contrary to the belief that Mandela sold out, he argued quite a lot with F.W. de Klerk and the National Party about the future of the country and what reparations needed to happen. It says they had a fraught relationships even though it couldnâ€™t be seen in the public interactions of the pair. In this time from when Mandela was freed to the present time, Mandela has been appropriated by many for their causes. Whether it is the Democratic Alliance saying Mandela would have voted for them (he in fact called The DA a Mickey Mouse party once) to others saying Mandela was non-violent and thatâ€™s why the anti-apartheid struggle succeeded, there are many. However, the book shows that Mandela was an apologetically dedicated to ending the struggle using militant means. He was a proud socialist and African nationalist. He made mistakes during the struggle and after fulfilling those identities but that much can be acknowledged. The book is a must-read if not for learning more about Mandela, then to gain a different idea. While there are many books about Mandela out there, a critical reading of this one in particular reveals how the myth of Mandela overwhelmed him so that sometimes who he actually was consumed by the outside perception. Mandela was not faultless and this books show this at times and in specific instances. An interesting moment to look out for is about the his time on Robben Island when the University was started. The book can be found at all good bookstores and online at Loot and Takealot.